PageGroup operates in more than 35 countries worldwide. First established in London in 1976, we’ve been bringing job seekers and employers together for more than 30 years. If you are a candidate please submit your CV. If you are a client, please request a call back. RMIT contacted Page Executive to help them recruit a CEO for their new Online University, after using an established education based search firm had not yielded the desired result. PageGroup has been a preferred supplier to RMIT for many years, but this was the first executive search role they had offered us. The business had been running since November 2016 and was growing incredibly fast; too fast for them to realistically handle. The first issue was the immediate one, that RMIT Online needed a leader urgently as the interim incumbent was not coping. While commencing the retained search, Page Executive selected an Interim CEO (who started within just four days) to manage the day to day operations while the permanent search got underway. Through an initial briefing, Page Executive placed an interim within four days that did such a good job at one point RMIT were happy to simply offer him the role. Through our recommendation, RMIT then interviewed our shortlist of eight individuals (50/50 gender split was also a requirement here), created within six weeks, and found an even better executive that was eventually offered the role. This CEO has started and she continues the excellent work of the interim. RMIT were delighted with our interim solution, the search process and also the successfully appointed new CEO. NSW Business reached out to Michael Page after a positive experience with a consultant in our sales division. They came to us to assist with recruitment of a Senior Marketing Consultant. NSW Business Chamber has been a client of ours for a number of years, since 2004. The Senior Manager, Marketing Consulting was keen to get this person urgently to support her as she was not only doing her role but had also taken the responsibilities of this role on. After a full brief was taken from her both over the phone and in person we began the search. Michael Page then utilised a range of methods to source the successful Senior Marketing Consultant. Full briefing, pre-screening, face to face interviewing and shortlisting. After a 7-day sourcing and screening process, a shortlist of three marketing professionals was presented to the client. The Senior Manager, Marketing Consulting was impressed with all three and requested to interview them all. She took two to final stage and made an offer to the best individual. The brief was given on September 1st and the NSW Business Chamber had a new Senior Marketing Consultant by 22nd September. It was a pleasure to work with them. 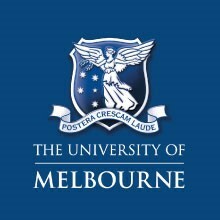 UMSU are a Not-For-Profit which is run by students, for students at the University of Melbourne. They had never partnered with Michael Page before, but had been struggling to recruit a Fundraising role for a number of months. They were recruiting for a highly important, newly created role, in order to raise money from corporate sponsorships. The consultant at Michael Page Marketing approached UMSU to offer her assistance and placed the role successfully within 24h. As this was a pivotal role which had been advertised on SEEK for over a month, UMSU needed to on-board this person with speed and quality. UMSU worked with Michael Page Marketing on an exclusive basis, and selected a working interview solution. A working interview means that the candidate has already been interviewed by Michael Page, and treats their first day at UMSU as an interview to save the client time. The candidate was successful in the working interview and has made a significant impact to UMSU’s corporate sponsorship fundraising stream. The candidate is working in the role for 5 months, which provided UMSU time in recruiting the perfect permanent candidate. We have continued to work closely with UMSU and are a trusted recruitment supplier.